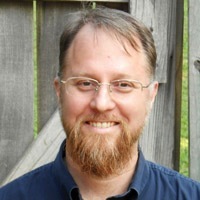 Phillip Donnelly is Associate Professor of Literature in the Honors College, and he teaches in both the Great Texts Program and the English Department. Before coming to Baylor, he taught at the University of Ottawa and at Texas Tech University. He currently serves as the Director for the Great Texts Program. His research interests focus on the historical intersections between philosophy, theology, and imaginative literature, with particular attention to Renaissance literature and the reception of Classical educational traditions. The topics of his published work range from St. Augustine and post-modern critical theory to the Renaissance poetry of George Herbert and John Milton. He is a contributor to the new Milton Encyclopedia, edited by Thomas N. Corns (Yale University Press) and to the Oxford Guide to the Historical Reception of Augustine, edited by Karla Pollmann and Willemien Otten (Oxford University Press).